Less people than expected clicked on Google’s adverts in the first two months of 2008 sparking fears that the credit crunch has hit the internet, despite UK companies being on target to fork out £5 billion on online adverts by 2012. Although ComScore pointed out that the number of people clicking on the four-line text ads run by every Google search rose by three per cent compared to 2007, it was less of a rise than expected, sparking jitters in the online advertising arena. Stanford Group analyst Clayton Moran told the International Herald Tribune: "The numbers are soft again. We think the slowing of growth is due to the economy." The ComScore report saw Google’s shares drop by 3.2 per cent, or $14.52, continuing a slump for the company in 2008. 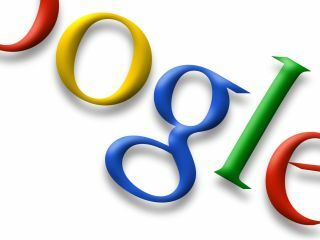 Google makes the lion’s share of its revenue from its online advertising, and major companies are increasingly turning to new media to advertise their wares. The UK’s online advertising sector remains extremely healthy though, with the latest figures from eMarketer suggesting that companies will spend £3.4 billion this year and £5 billion by 2012. “While the rate of growth in search-related spending is falling slightly as the market evolves, annual growth is still remarkable,” says senior analyst and author of the report, Karin von Abrams.